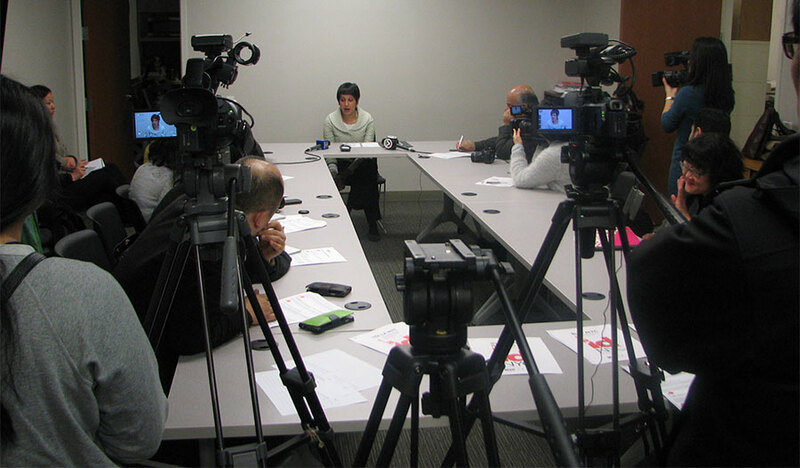 On Thursday, February 5, 2015, the Asian American Federation hosted a news briefing with Asian American media for Commissioner Nisha Agarwal of the Mayor's Office of Immigrant Affairs (MOIA). Commissioner Agarwal provided a detailed update on the IDNYC program, sharing that the City has received 180,000 applications in the first month of the program and processed 20,000 applications to date. Highlighting the importance of having photo identification in our society, she emphasized that MOIA is working hard to add additional pop-up sites throughout the City and hire more staff to reduce the wait times for appointments to apply for the IDNYC card. The Commissioner also reminded everyone that language assistance is available upon request at every application center or by calling 311. In-language materials and forms are also available at the IDNYC website: www1.nyc.gov/site/idnyc/index.page. The Federation and Commissioner reiterate that the IDNYC program is a free service for the first year. No one should have to pay any fees to apply for the card, so everyone should be aware of fraudulent schemes that say otherwise.